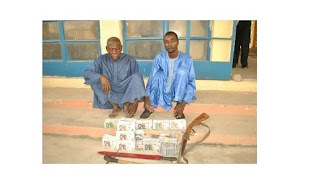 The Niger State Police Command has arrested two men in connection with the circulation of money suspected to be counterfeit. A statement issued by the command’s spokesperson, ASP Muhammad Abubakar, said the operatives during two separate raids carried out in Minna metropolis, arrested one Umar Auta, aged 50, of Bosso LGA and 70-year-old Abdulkarim Adamu of Old Kwata Suleja in Suleja LGA respectively. 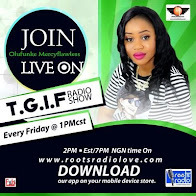 One Dane gun, an axe, one machete and the sum of eight million naira (N8,000,000.00) all in one thousand naira denomination suspected to be counterfeit were recovered from the suspects. Investigation of the case is still in progress. “The command, wishes to inform members of the public that it will not relent its effort in clamping down on criminals in Niger State,” said Abubakar. “The operatives of the Command have been directed and charged by the Commissioner of Police to redouble their efforts in fighting crime and wishes to solicit for the cooperation of the members of the public in this regard” he added.